Friedel students engage in a variety of special events designed to enrich their educational experience. Mrs. Denise Bennett, our 5th & 6th grade teacher, brought the Modern Woodman of America Oration contest to Friedel in 1998. 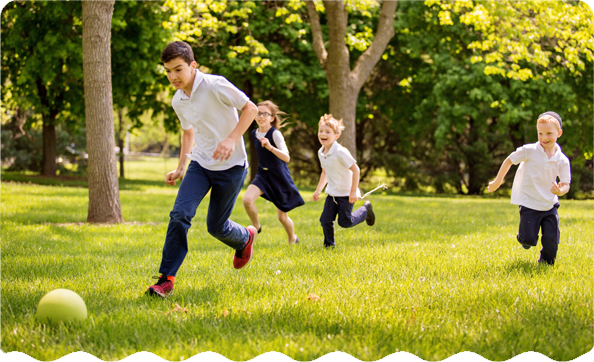 Since then, Friedel students have won five state titles and one national title. 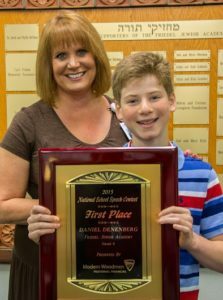 Danny Denenberg, who graduated from Friedel Jewish Academy in 2015, won the Heisman Trophy of speech contests when he took first place, out of over 90,000 competitors, in the national level of the Modern Woodmen of America speech competition. In addition to his sixth-grade-year state and national championships, Danny also won state in his fifth-grade year and was a top-10 finisher in the national competition that year. Three other Friedel alumni have won the state contest over the years: Sara Kutler in 2009, Elissa Weiner in 2008, and Jacob Katzman in 1994. 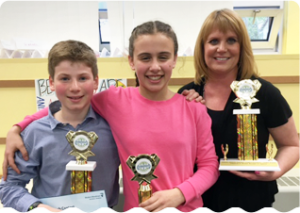 Friedel Jewish Academy holds Omaha’s only annual judged science fair for elementary school students. All Friedel students – kindergarten through sixth graders – have the option to participate in an annual judged science fair. Science projects are planned and designed at home over an approximately six-week period. Although there is not a specific theme each year for the science entries, students are encouraged to do a project on something that interests them and that they would like to find out more about. Guidelines, starting with a scientific question, are provided for the budding scientists to follow. Each youngster is instructed to develop a hypothesis and test it while discovering new information through use of the scientific method. The purpose of the Science Fair is the experience of learning more about science. Judges are elementary education students from who are especially interested in teaching science and math.